Jack is the son of Jake, a member of the Cross Guard who was killed by the Chess Piece Weasel. Loud-mouthed and clumsy, Jack is the weakest of Team MÄR, however not by any means the least resolute, if not the most, and having the least experience. He never misses a chance on training to get stronger. He also has a hopeless crush on every cute girl he can lay his eyes on, especially Snow and Dorothy, despite how cruelly they treat him. 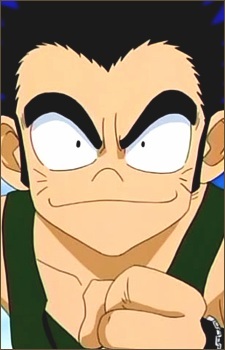 Jack is the one who meets Ginta Toramizu early in his adventure when he and Babbo stumble upon his garden. After Jack helps him beat the Rugelu Brothers (a pair of werewolves that were terrorizing Jack's home to claim the farm's vegetables), he and Ginta becomes best friends and joins Ginta on his journey.